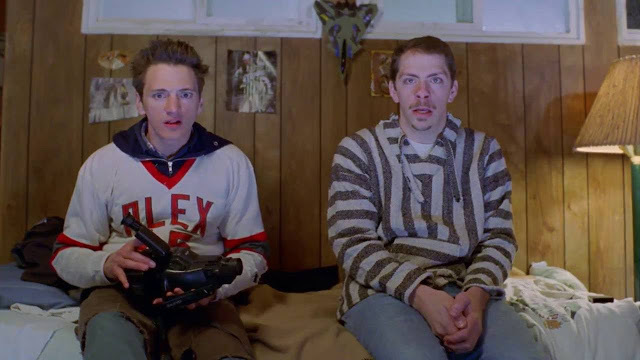 The 2003 indie comedy, Harold Buttleman is getting a remastered re-release in February. The film stars character actor John Hawkes as a small town dreamer that wants to break into the Hollywood bigtime by making a television show about his own personal series of simplistic stunts. Throughout a cavalcade of goofy accidents, silly pranks, and non death defying attempts to film their action based television pilot for a small local cable station, friendships are tested as Harold's obsession with becoming a somebody leads to heartbreak, pain, and physical damage. Shockingly enough, I had never heard of this little gem that absolutely qualifies as one of the most harmless and innocent comedies I've ever laid my eyes upon. Other than a few utterances of profanity, Harold Buttleman is a surprisingly fun little movie that does a great job of translating the life of a dreamer to the screen. Mild comparisons could be made to other thematically similar comedies like UHF, Napolean Dynamite or other films about the town loser attempting to become a winner at all costs. Coming on the coattails of MTV's Jackass, this well meaning tale of friendship is a mostly clean affair that turns the stunt genre into a proper story of a man's journey to find acceptance. Hawkes (per usual) does a wonderful job playing the every man with a nice eclectic cast of actors backing him up. Karen Black appears as his mother while backup character mainstay Leon Russom stars as the religious father. Yet, it's Buttleman's best friend that is the epitome of loyalty despite his glaring mental and social faults. 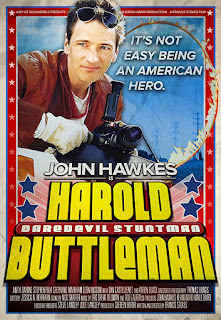 Played by Stephen Falk, Doug Linsey is the awkward balance to Hawkes' Buttleman. The pairing of the two is both gratifying and hard to watch at the same time. Their time spent on screen together while hilarious is sometimes so distant from reality that you'll want to bang your head against the wall. Still, the laughs remain. Dude. I look so young in this! My career is gonna be great! Considering so many comedies of the last couple decades have spent the majority of their time on disgusting potty humor and drug related plot lines, Harold Buttleman is really a delight to watch. Yes, the script is extremely simple. And they could have cut out about ten minutes of repetitious plotting. But overall, knowing that this goofball movie never got a proper release is disheartening. Hawkes deserves accolades for every role he takes but somehow has never found himself at the front of the line. 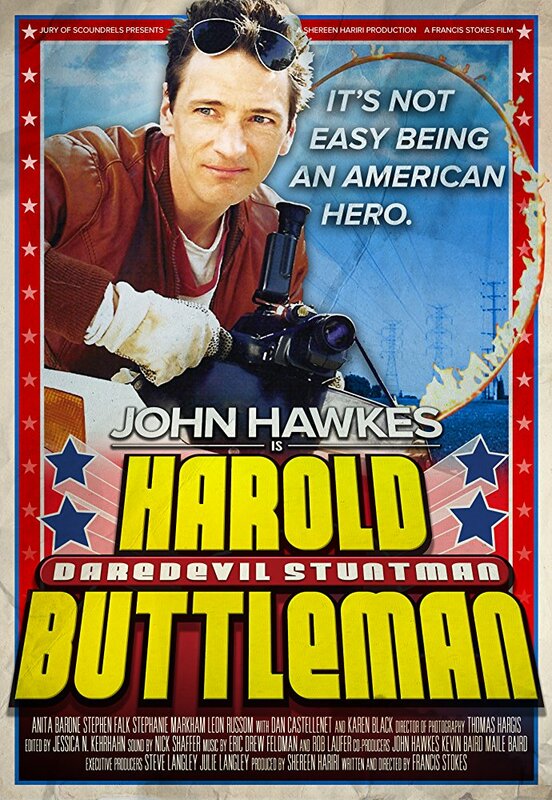 Harold Buttleman lets him take over the lead in a film that could have had the same cult following as the previously mentioned Napolean Dynamite. There's a lot of good in this movie. Hopefully now, people will get a chance to check this out so they can see that well natured comedy does actually exist. Other than scenes of drinking, marijuana use, and those few times that profanity enters the mix, this is right outside the boundaries of qualifying as a family oriented movie about trying to succeed against the odds. You can feel secure watching this with your teenage children. There's nothing they haven't seen before in Harold Buttleman.